If you are eager to know the price of the Hero Xtreme Sports bike, contact your nearest dealer to get the on-road price of the bike in your area. 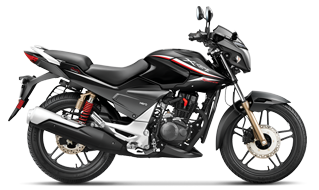 To find the price of the Hero Xtreme Sports bike in cities such as Mumbai, Delhi, Pune, Bengaluru, Chennai, Chandigarh, Kanpur, Lucknow, Kolkata, etc. The 149.2 cc powered engine coupled with the right kind of fuel will give you the mileage you are looking for. With a max power of 11.64 KW (15.6 BHP) @ 8500 rpm, expect the Hero Xtreme Sports Bike to give you a better average than its other counterparts with similar specifications. 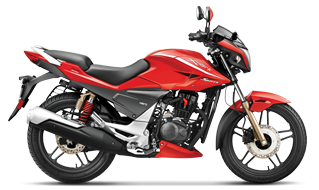 Take a look at the Xtreme Motorcycle photos and you will see the Hero Xtreme Sports specifications such as the Telescopic Hydraulic Shock Absorbers in the front and Rectangular Swing Arm with 5 step Adjustable Gas Reservoir Suspension in the rear. These specifications give the Hero Xtreme Sports bike the perfect balance it requires in rough terrains, making it not just durable but reliable and cost-effective, too! 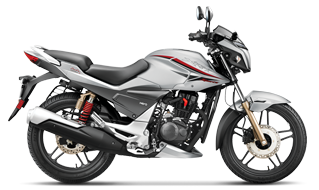 The Hero Xtreme Sports Bike self-starts with the press of a button. However, if you ever have a problem with the self-start due to adverse weather conditions, you can kick-start it and continue your speedy journey to your dream destination. Built with a fuel tank that has the capacity of 12.1 litres, the Xtreme Bike Mileage will make your rides not only pleasurable but also economical. This super amazing bike has a 12 V-4 Ah MF Battery that lasts longer on even your longest rides. It has tubeless tires that make you worry less about the punctures and help you focus on enjoying your journey instead. The Hero Extreme Sports bike has a maximum speed of 107 kmph, making highway rides extremely smooth. 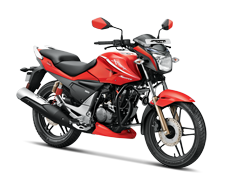 The suspension, engine, tubeless tyres, fuel capacity and the average of Hero Xtreme make it the ideal bike for long, peaceful rides in and out of the city. 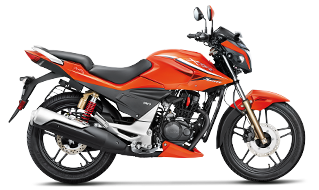 The Hero Xtreme Sports Mileage is definitely one of the best in its class. 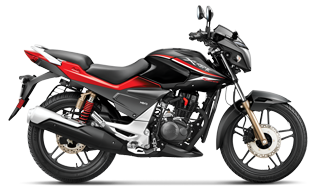 Take a closer look at the Xtreme Bike Photos or use the 360° view to explore the Hero Xtreme Sports specifications in detail. Already bought this beauty and want to share reviews for the same? Share your voice on the Hero MotoCorp Facebook page.